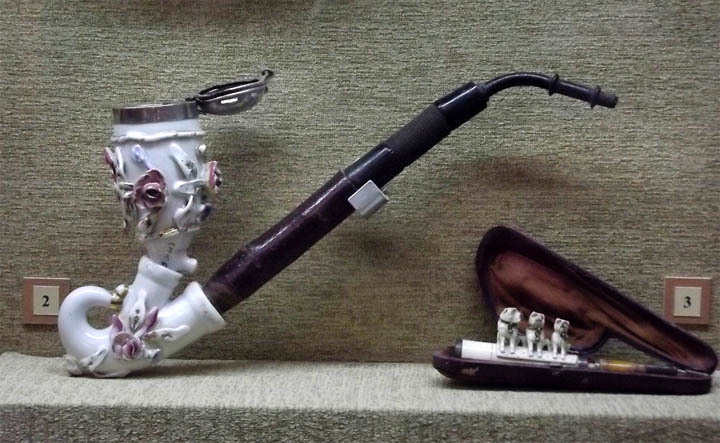 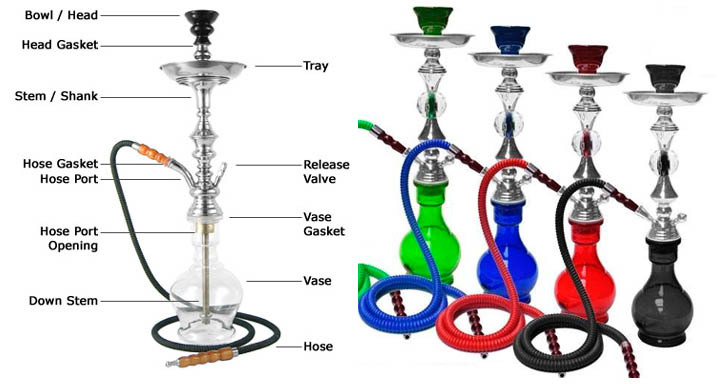 A hookah, or water pipe, is typically made of glass. 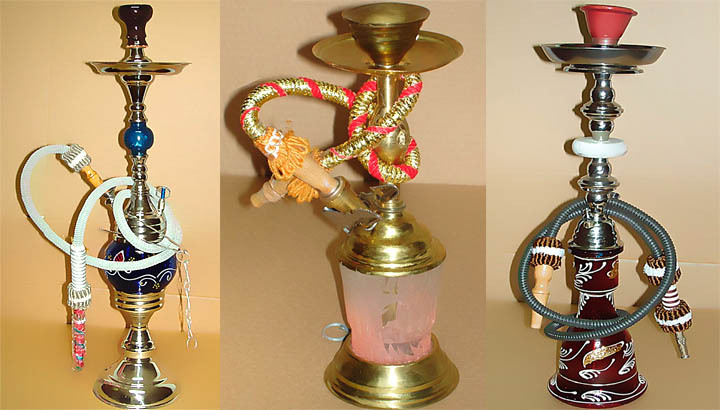 Water is used to cool tobacco smoke before inhalation. 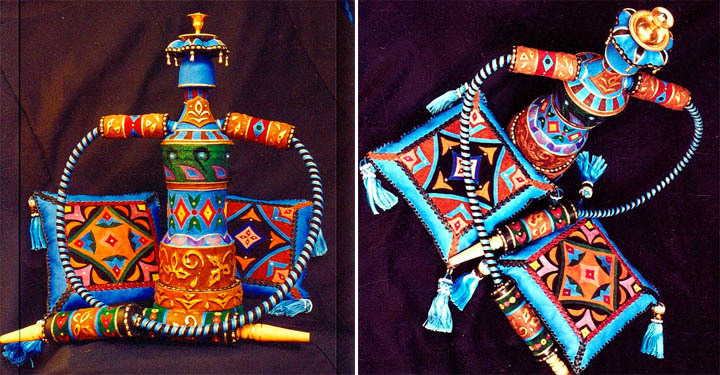 The hookah originated in India and Iran in the sixteenth century, where it was seen as a good way to purify the smoke before it entered a person’s body. 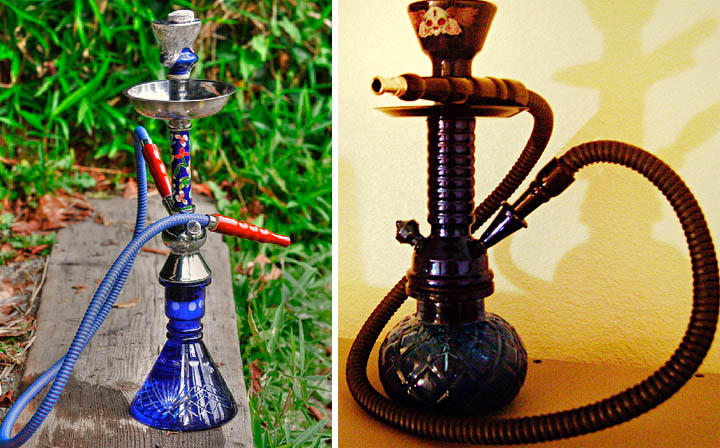 The hookah soon spread into Pakistan and the Middle East. 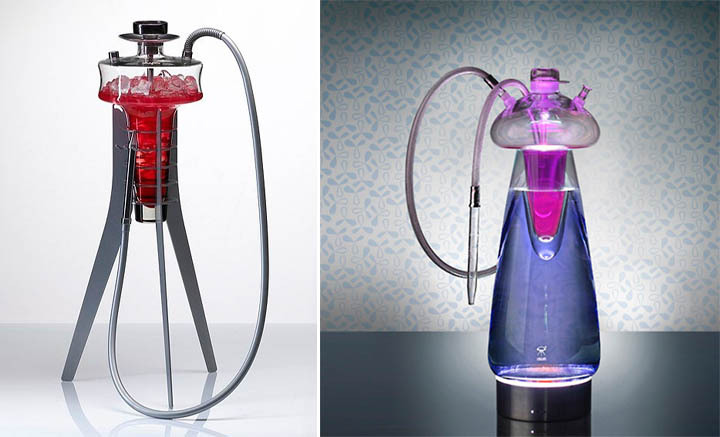 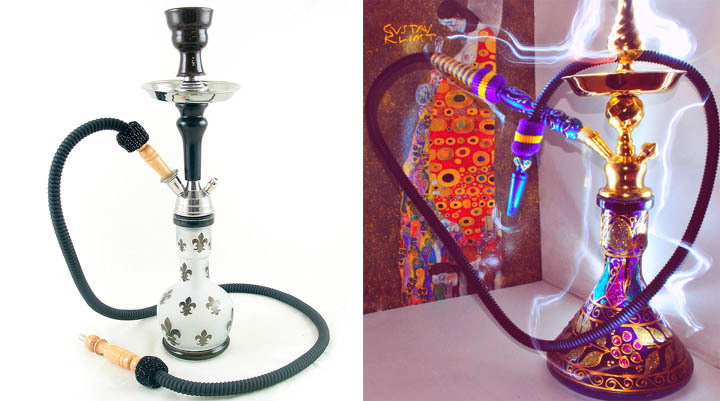 It has since become popular in other parts of the world and hookahs can be found in North and South America, Europe, Australia and parts of Africa. 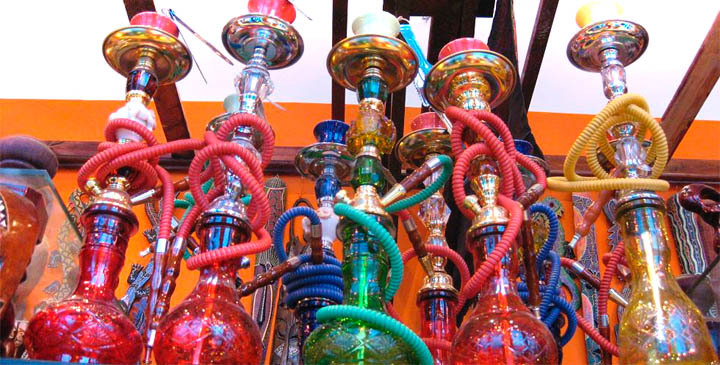 The water pipe has become popular around the world and is being used more often in its traditional places of origin in the Indian subcontinent and the Middle East. 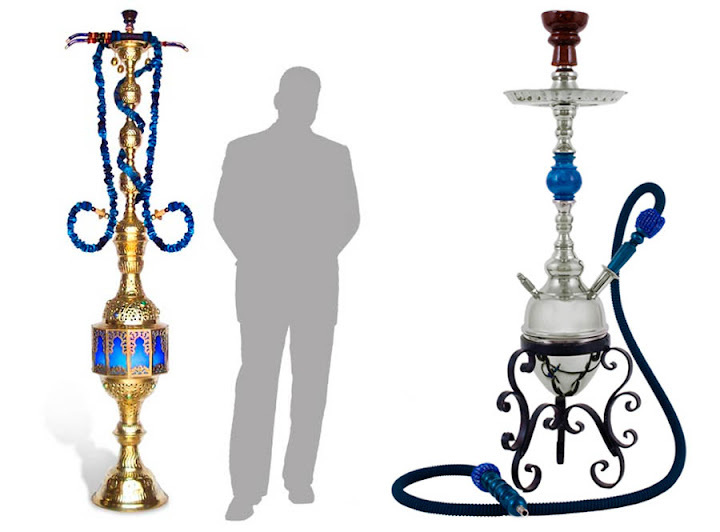 In the Western world, where restrictions on tobacco use continue to be introduced, lounges and cafes that allow hookah smoking have appeared. 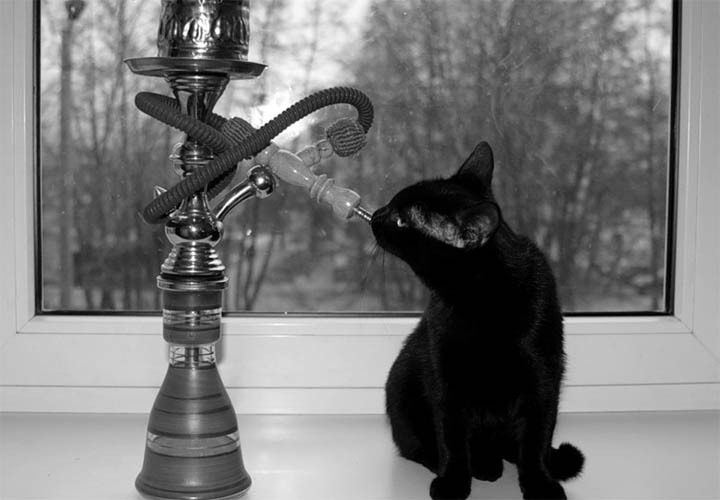 Despite the different chemical composition of the smoke that’s inhaled, hookah smoking is not a safe alternative to cigarettes and can still lead to tobacco related medical conditions. 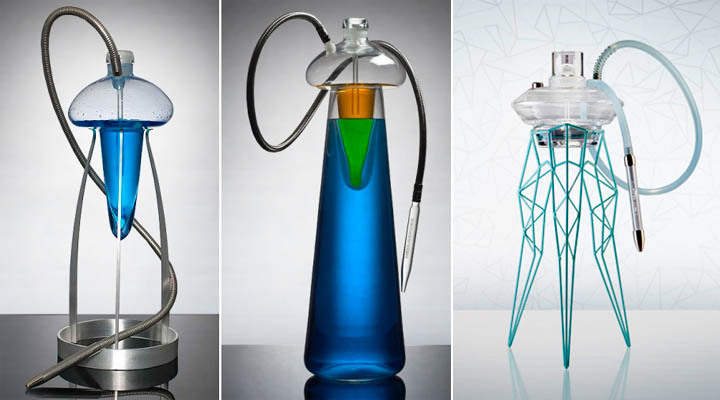 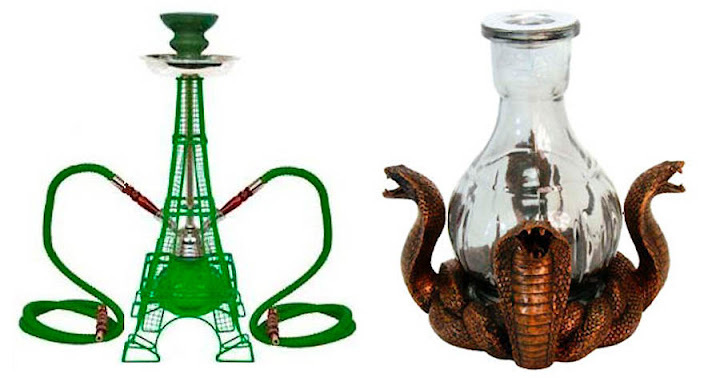 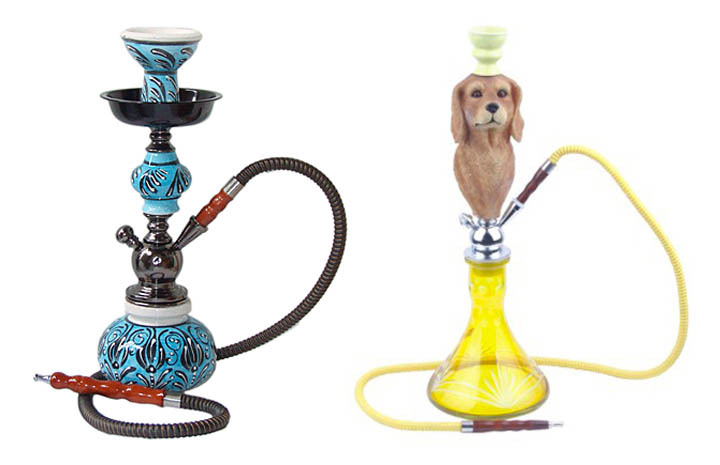 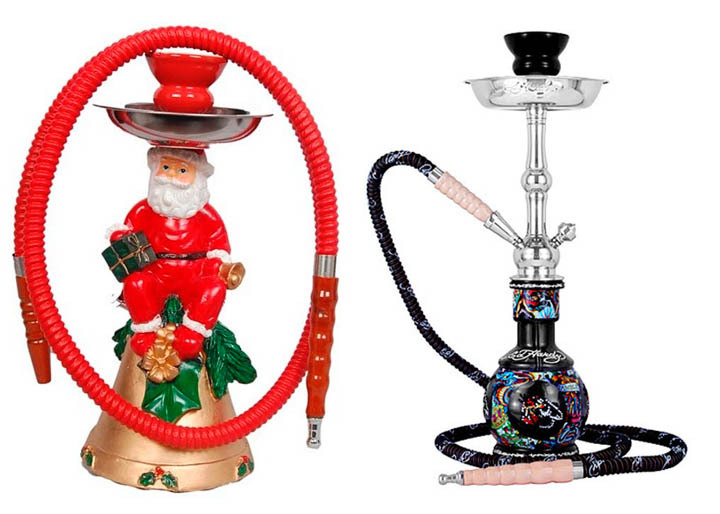 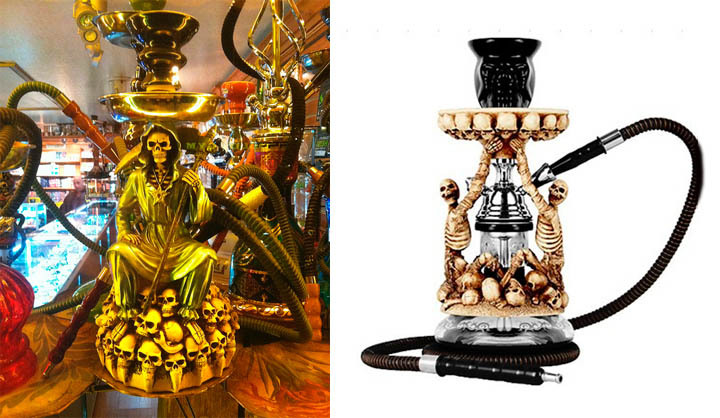 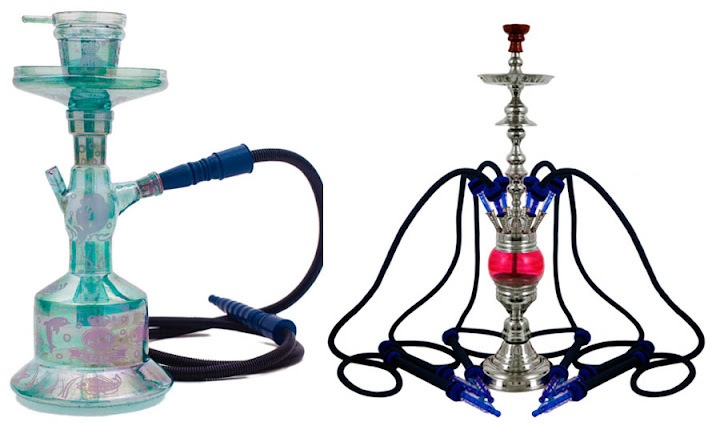 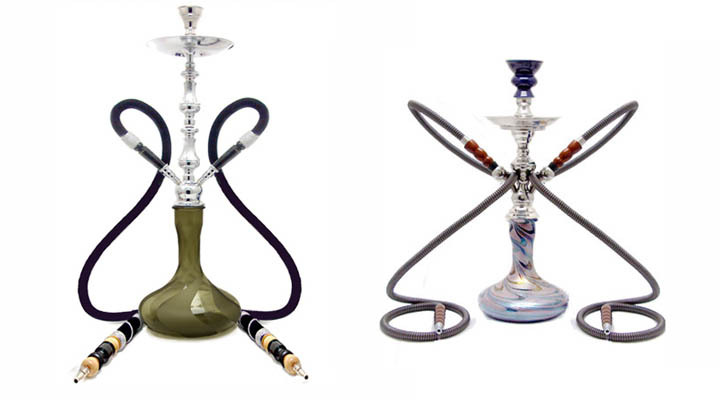 I think I like the more classic hookahs compared to the more modern ones that are pictured above. 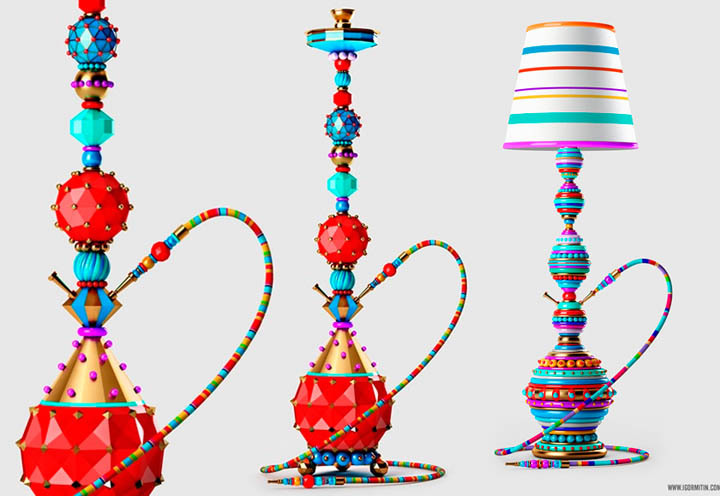 It's still neat to see what types of designs people are coming up with these days though!